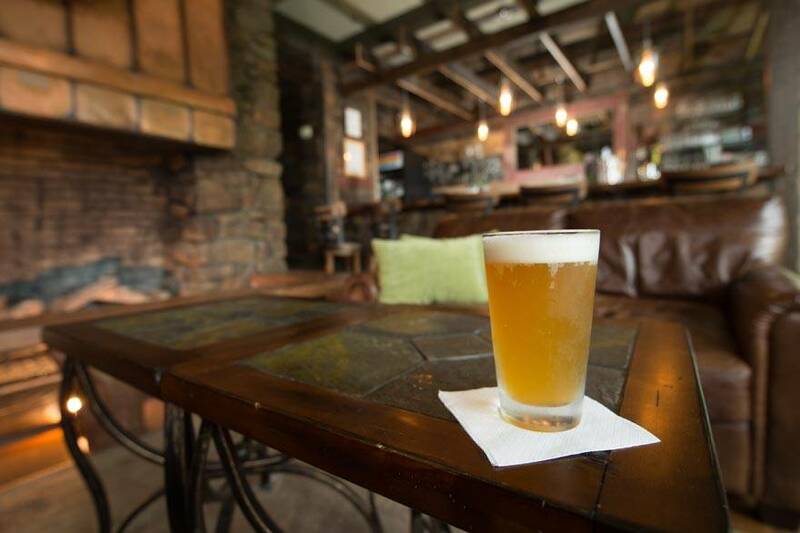 Relax and enjoy a refreshing drink with gorgeous Abbott Lake and Sharp Top Mountain views. Come visit the renovated lounge at Peaks. To pull in the natural local beauty of the region, barn boards were salvaged from local Bedford barns, rock was used and matched to the original fireplace, and enhanced copper was used to warm up the room. Try a Specialty Drink - Sharp Top Martini, Flat Top Lightning or Harkening Hill Mojito.